Despite the jetlag and switching of time zones, I still managed to get one ticket for the show. I panicked when Matt tweeted that the tickets for the showcase are sold out. Damn. Of course, I am happy for this achievement. It simply shows that Matt Goss is truly loved by his fans and supporters. In fact, the tickets are considered sold-out in a few minutes! 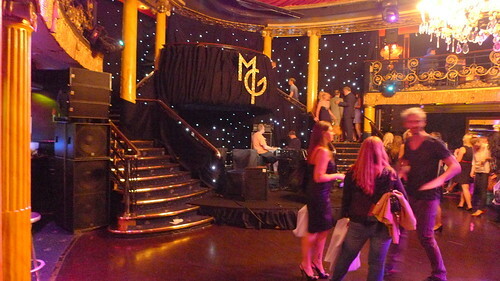 Thanks to MGA, I was able to imagine what a typical Matt Goss show in Vegas look like. 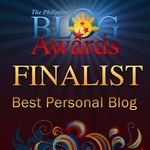 It seems like every member of the audience sees to it that they arrive in the venue with their best formal attires on. That Wednesday afternoon, my uncle and I strolled around Piccadilly for me to familiarize the directions. 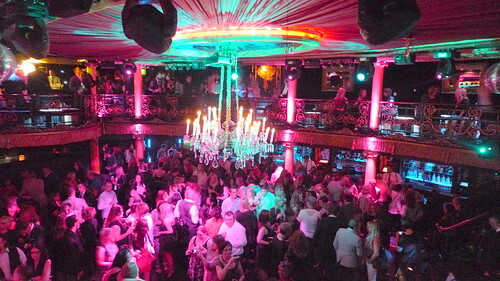 I was surprised when I saw a long queue outside Café de Paris. I think Matt Goss has the most loyal and sweetest fans. I admire their dedication! I took this opportunity to dress up a bit – black dress, high-heeled shoes and a bit of make-up. I enjoyed talking to my cousin that I almost didn’t make it on the show! I arrived in Café de Paris just a minute before they closed the main door. Quite overwhelmed with the number of security personnel and yes, the venue is jampacked with VIP’s, media personalities and the loyal fans. For some reason, I end up staying at the VIP balcony area. Wearing high-heeled shoes is the best decision I’ve made. 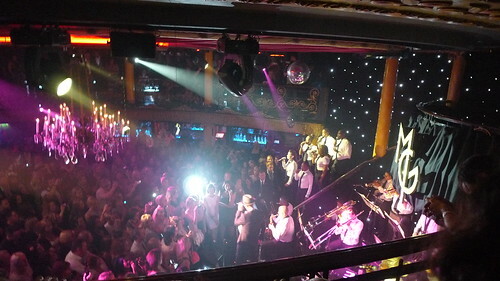 When Matt Goss went onstage to sing ‘Lovely Las Vegas’, the crowd went crazy! It is his signature song as a Vegas headliner. He wouldn’t be called the ‘British Frank Sinatra’ for nothing. Although I was struggling to get a good view of Matt, it didn’t deprive me to see how powerful he is as a performer. The second song is ‘Mustang’, which is his personal favorite in the upcoming album. The song describes Matt’s personal view on love and letting go. He also sang the ‘perfect FU song’ called ‘Evil’, which is included in the Gossy album. I am not sure if a new version of the song will be included on the next record. ‘I Do’ is the perfect marriage proposal song. If Matt Goss chooses to release this as a single and promote it heavily, it will surely be considered as a favorite wedding anthem in the years to come. The British Gentleman serenading for wedding bells? Perfect! ‘Strong’ is my personal favorite from the showcase. I just love the lyrics, his voice, the melody, the arrangement and the choir singing with Matt in the chorus. Matt Goss is truly an epitome of a British Gentleman, who managed to stand up despite the highs and lows of life. It feels good to be Strong! As expected, the crowd favorite is the new version of the popular Bros hit ‘When Will I Be Famous?’. The lyrics of the song is more applicable in the present than it was in the past. I smiled upon seeing a lot of women sing and dance with Matt like teenagers again. I wonder how it was way back in the 80’s. How does it feel like to be a Brossette? 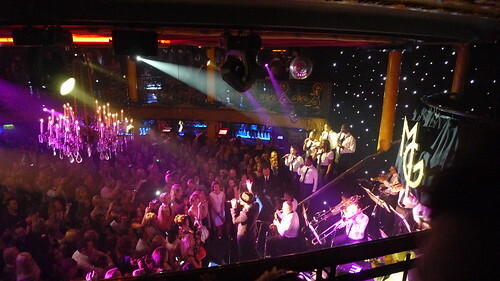 To end the show with a bang, Matt Goss performed his rendition of the classic hit ‘Hotel California’. I heard that in some of his previous gigs, some girls would throw their knickers onstage when he belts out the first line! What an intriguing finale. I went to the toilet at the middle of his Hotel California number because I had to pee (sorry I can’t stop it! LOL). Imagine how star struck I was when I saw Matt on my way out! I wasn’t expecting it because the band’s still playing the instrumental parts of the song. What to do? Should I say hi? Hello? Welcome to your home country even if I am just a visitor? The security team grabbed him to the backstage before I even thought of doing something crazy. Tsktsk. Oh well. Maybe later I’d get the chance and the courage to approach him for a photo or autograph. Later on, drinks and canapés were being served to the guests. I need to meet Matt. I need to meet Matt! Out of boredom, I decided to just roam around the venue. I eventually met someone whom I had a very interesting conversation with. Then I realized that people were slowly evaporating from the venue. Where are they going? Apparently, Matt Goss left. 🙁 No more meet and greet since he needs to catch up on another commitment. Wah. I was a bit disappointed, but there’s nothing I can do for now. At least I get to watch him perform live! I’m happy when one of the staff approached me and handed me the MG Goodie Bag – What are the contents? 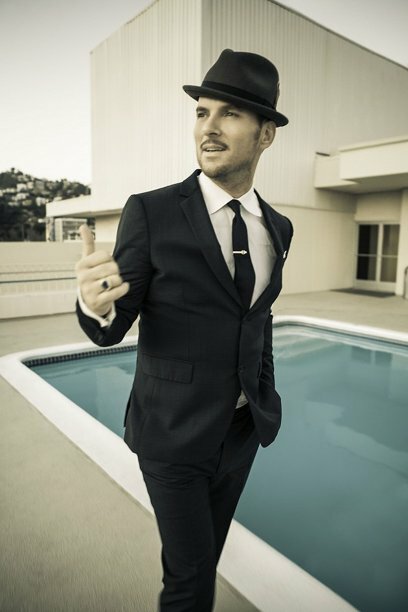 The Matt Goss Official Calendar 2013, an autographed poster and an exclusive VIP pass. ‘Life You Imagine’ will be available in UK record stores starting October 7. Pre-order now and get a limited edition signed CD! wow congratulations to you my friend and Im so happy for you that you finally met your crush on his short but still very meaningful performance for the loyal fans of his!great job and thank you very much for sharing it with me!ingat ka dyan lagi my kababyan ang godbless you and your family!